Being the social creatures that we are, seeking out a relationship is only natural. Relationships can be a great source of strength, happiness and positivity. Like everything, though, relationships can become stressful. Maybe the stress is from an outside source, like long work hours or business traveling. Stress can also form internally within the relationship. Stress in relationships can be a daunting thing to deal with, but there are ways to effectively handle that stress and make sure your relationship continues to stay a source of strength and love for both you and your partner. Situations that arise in relationships that cause stress and tension can make it easy to feel like one or the other is to blame. When it gets tempting to put the blame on your partner, or even yourself, take a moment to reflect on if either of you have done something worth blame, or if the situation is out of your hands. Dealing with stress means that you are dealing with it together. You and your partner are both on the same team, and remembering that can help the both of you continue to be sources of strength for one another. Being open to change in your relationship can go a long way to dealing with stress. If you find yourself too set in your ways, completely rigid and unwilling to change, it can create even more problems on top of the ones you already have. Being flexible in your relationship, whether that means changing plans to meet or expending emotional labor to help your partner through a difficult time, can work wonders on a stressful situation. Relationships work through communication and compromise. Find what works best with both you and your partner. When stress hits a relationship, it can be hard to feel emotionally or physically connected with your partner. Practicing small ways to stay connected can help both you and your partner weather the storm of stress. This could be taking time at the beginning or end of your day to be physically affectionate or intimate, or doing something small like sending a text to remind your partner that you are thinking of them and sending good and positive thoughts their way. Staying connected with your partner is the most important thing in dealing with relationship stress. 4. ASK YOURSELF: IS THIS A RATIONAL REACTION? When something stressful happens, it can be easy to allow your emotions to take over the rational part of your brain. No matter what the situation is, try taking a moment to pause and ask yourself if you are dealing with the situation at hand in a rational way. Allowing yourself to have an emotional reaction is important, but it’s also important to make sure that emotional reaction isn’t superseding the most logical course of action to dealing with the stressful situation. People deal with stress in different ways, and you and your partner are not always going to have the same reaction to a stressful situation. While one partner may be able to roll with the punches, the other may react with fear and anxiety. Understanding how one another deals with stress can make it easier to help each other through the current situation. Sitting down together and making a concrete plan of what needs to be done can turn a stressful situation around within hours. Make sure that both you and your partner are aware of each other’s expectations, and whether or not you can meet them. If you can’t, expectations will have to be adjusted and comprises made. Figure out what can wait until the situation passes. Having a game plan can turn any stressful situation on its head, and give both you and your partner some much needed relief. Even though the stress is stemming from your relationship, you and your partner don’t have to be the only ones to handle it. Remember, you have an outside support system as well through family and friends. Utilize your support system. Being able to go to someone else outside your relationship for help, comfort and advice will take some of the emotional strain off your partner, and ultimately allow you to better deal with the stress together. Stress in relationships happens. It’s an unavoidable reality in adult relationships. But it doesn’t have to be overwhelming and it doesn’t have to be detrimental. Learning how to properly deal with stress can make your relationship stronger than ever. It can also make the situation less stressful in the first place. You and your partner will benefit from learning how to deal with stress, both individually with internal stress as well as stress that happens from outside situations, like a job loss or a busy schedule. Don’t let your worries get the better of you. 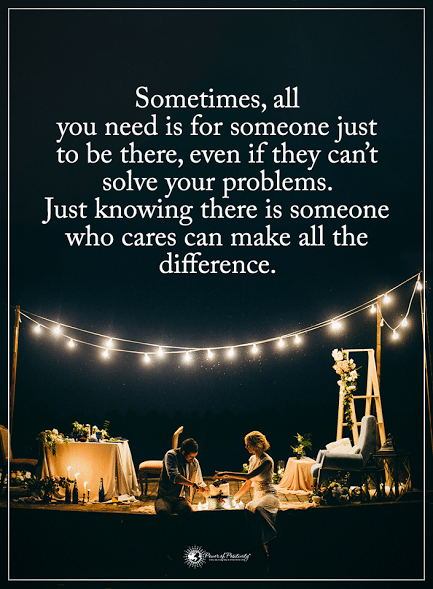 You have the capabilities to deal with anything that life throws at you, and if you don’t then you have a partner who can help share the burdens.